The DePuy ASR recall was announced on August 26, 2010 amid growing concerns of unreasonably high revision rates due to premature failure. The recall included the ASR XL Acetabular System total hip replacement and the ASR (Articular Surface Replacement) Hip Resurfacing System. DePuy Orthopaedics – a subsidiary of Johnson & Johnson – recalled the hip implants, which had been used in an estimated 93,000 patients, because they failed to satisfy “clinical expectations.” Data from an independent registry in the U.K. indicated that 5-year revision surgery rates for ASR implants were between 12-13 percent. However, preliminary evidence presented in the first DePuy ASR trial revealed these rates may be much higher, as internal documents show that 40 percent of the ASR hip replacement systems could fail within the first five years. Since the voluntary DePuy hip replacement recall was enacted, thousands of ASR recipients have sought damages for complications, revision surgery costs, and other losses related to the devices. The ASR Hip Resurfacing System was only approved for use outside the United States, but the ASR Acetabular System has been available in the U.S. since 2005, and its alleged design defects have resulted in a host of debilitating problems and permanent injuries in patients. ASR Hip Resurfacing System—on the market since 2003; only sold outside of the United States. ASR XL Acetabular System total hip replacement—commercially available in the U.S. since December 2005; sold worldwide. Following the DePuy hip replacement recall, the manufacturer recommended that patients who were implanted with either ASR device consult their surgeon for a post-operative evaluation, even if they were not experiencing complications. Additional testing such as x-rays, blood tests for metal toxicity, MRIs and ultrasounds could help reveal whether patients have sustained bone damage, metal poisoning, or have other signs of premature hip implant failure. 2003 – DePuy markets the ASR Hip Resurfacing System as a high-performance implant, targeting a younger demographic. 2005 – Medical studies begin unveiling complications linked to metal-on-metal implants. 2008 – Orthopedic databases abroad show the DePuy ASR is failing at high rates in patients after just a few years. Hip replacement systems are designed to last upwards of 15 years. 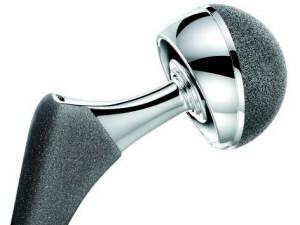 2009/2010 – Citing concerns over high failure rates, DePuy starts to phase out its metal-on-metal hip devices in the United States. The manufacturer attributes this action to waning sales and blames ASR hip complications on poor surgical technique during implantation. March 8, 2010 – DePuy issues an Urgent Field Safety Notice cautioning of “higher than expected revision rates” in the ASR hip implants. 2013 – During later ASR litigation, DePuy retracted this statement, saying the device was not defective. From 2006 to 2009, the FDA received hundreds of complaints regarding the DePuy ASR hip systems, and in 2009, nearly 90 percent of those who reported complications ultimately needed hip revision surgery to remove and correct the damage caused by the implant. ASR recipients who needed corrective surgery often cited early symptoms such as chronic pain, swelling, and problems walking. Hip replacement systems with metal components such as the recalled ASR device have been linked to a risk of metallosis caused by cobalt and chromium particles that are released into the blood as the components grind against each other. While DePuy may reimburse costs of treatments and revision surgery pertaining to the ASR recall, many recipients have found this compensation insufficient on many levels. Other damages such as pain and suffering are not considered in the manufacturer’s claims process. Patients who have been implanted with the ASR XL Acetabular System and have suffered complications, and/or needed revision surgery, are encouraged to contact a qualified products liability attorney to discuss their legal options. A lawsuit may help recipients secure compensation for past and future medical bills, lost wages, diminished earning capacity, emotional trauma, and other non-economic losses. In the wake of the ASR recall, DePuy faces more than 11,500 lawsuits. Speak to an attorney before signing any documents or waivers from DePuy or J&J. Save all medical records concerning your ASR hip replacement and follow-up procedures. Only provide copies to your attorney. Seek multiple medical opinions before having hip revision surgery. Always consult your physician regarding health-related ASR concerns. An attorney will explain your legal rights and eligibility for filing a DePuy hip replacement lawsuit.